Surgeon Lieutenant Colonel Frederick William Strange (September 9, 1844 – June 5, 1897) was an English-born physician, surgeon and political figure in Ontario, Canada. He represented York North in the Canadian House of Commons from 1878 to 1882 as a Liberal-Conservative member. He was the son of Thomas Strange of Berkshire and studied medicine at Liverpool and University College in London. Strange came to Ontario in 1869. 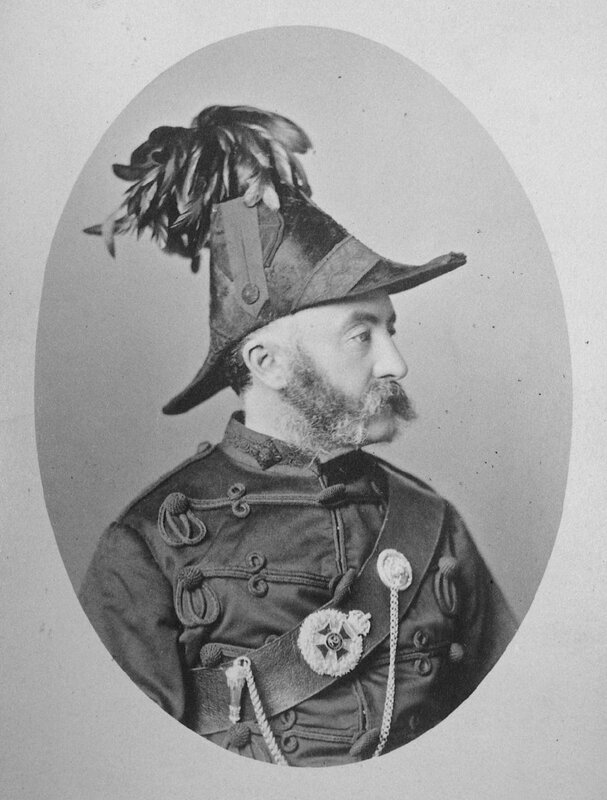 He served in the Queen’s Own Rifles from 1877 to 1881. In 1882 he transferred to the Infantry School Corps and participated in the Northwest Rebellion in 1885. He served as deputy surgeon general for the Royal Canadian Regiment of Infantry from 1893 to 1896. Strange was coroner for York County, a member of the faculty of Toronto Medical College, and was an unsuccessful candidate for a seat in the House of Commons in 1896. He died a year later at the age of 52. You can read the Daily Mail and Empire newspaper description of the funeral. He was buried in Mount Pleasant Cemetery.